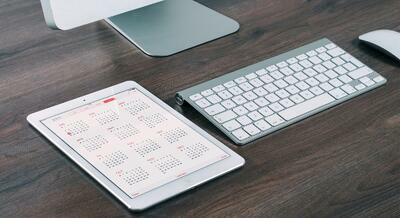 When you have an idea, first things first: write it down, draw it, record it, or produce it. Make it tangible so you can then protect your idea from all the copycats in the world. We’ve all seen the “™”, “®”, and “©” next to logos, in books, on the bottom of websites, and on advertisements. But what are the differences between these marks? Trademark (™) and copyright (©) are different types of intellectual property rights. A trademark can be a combination of words, phrases, designs, symbols, or logos that distinguishes the source of goods and services from another owner. Copyright protects tangible pieces of work, like literature, movies, photos, and music, which then gives the copyright holder exclusive rights. As a public relations (PR) professional, it’s important to know the relationship between public relations and relevant legal issues. 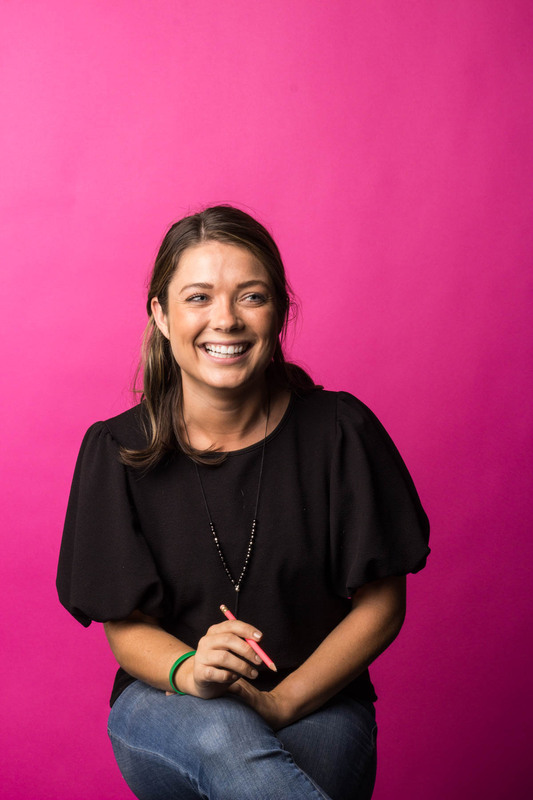 There’s so much content out in the world, and in order to ensure your client gets the rights he or she deserves, filing for protection will give you the ability to defend your client from financial damages and other types of professional harm. In fact, speech owned by others is one of the types of speech protected by the First Amendment. There are many different instances when officially registering your trademark or copyrighted work is a good idea. But how do you know which intellectual property rights to choose when protecting assets? And while we’re at it, what are the keyboard shortcuts for these symbols? Lawyers study this material for years, but this article will cover the basics for you to best understand what all of this intellectual property talk really means. Trademarks were created to help consumers navigate goods when competition arose. For example, if a new shoe brand started throwing the Nike Swoosh on their shoes, people would assume that the new shoes were of the same quality and had the same reputability of Nike. That would leave to a misled and unhappy customer, plus a loss of profits for Nike. However, Nike uses the “®” because they’ve officially registered the logo with the U.S. government. Tip: Hold the alt-option key, then press "2" to type the trademark symbol on a Mac. Overall, a registered trademark offers protection against improper use and alerts the public that you consider yourself the owner of the mark. Fanciful trademarks: Made-up words with no meaning, created to be trademarked. Arbitrary trademarks: Words/symbols that have real meaning, yet no relation to the product itself. Suggestive trademarks: Suggest a characteristic of the goods or services, but don’t have a direct connection. Descriptive trademarks: Describes the goods or services. Generic trademarks: Cannot be protected because it’s a common, everyday name for the goods or services. The service mark is a type of trademark that identifies the protection of services. A service mark can be anything that identifies your business as a provider of services, different from other service businesses. Before a service is registered, clients should use the service mark, and after the service is registered by the U.S. Patent and Trademark Office (USPTO) the symbol goes from the “℠” to the “®”. Tip: The service mark doesn’t have a keyboard shortcut, so copy and paste from above. Or if you’re in Google docs, click “Insert” then scroll down and click “Special characters.” There, you will find the service mark. Examples of industries that use the service mark are plumbing, electrical, cleaning, or dining. Starbucks provides a service, so before they registered their logo for their cafes, they probably used a service mark. But a trademark symbol would go next to any of the logos on the products they sell, like a mug or bags of coffee beans. To put it simply, Starbucks cafe provides services to coffee-drinkers and Starbucks also provides products to consumers in their cafes and in grocery stores. A service mark is for the services provided, while the trademark is for the goods provided. The registered symbol, or sometimes called the “circled R” is used once you’ve applied for federal registration from the U.S. government and received the official registration documents in the mail. The symbol is used by companies to show consumers that their sign is a registered trademark, and if you fail to use your circled R, your brand becomes devalued or even worse, the USPTO will not renew your registration. Tip: Hold the alt-option key, then press “r” to type the registered symbol on a Mac. 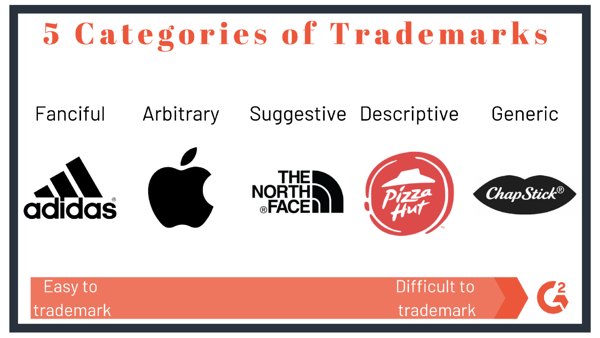 Now that you know about what categories of trademarks are and when to use different symbols, learn how to register a trademark and the advantages of doing so. As stated earlier, copyright is a type of intellectual property protected by the U.S. for tangible works. Once you’ve obtained a copyright registration, you can distribute your work as you please. If you copyright a book, go ahead and make it into a Tony award-winning Broadway musical. Tip: Hold the alt-option key, then press g to type the trademark symbol on a Mac. Pretty much if it’s original and exists, you can protect it. To further explain, facts about Alexander Hamilton are not protected under copyright laws, but the way in which facts about Alexander Hamilton are expressed, is protected. Case in point: Hamilton: An American Musical. Some good news is that work is automatically protected when created, but you must register it if you’d like to sue someone else for using your work. Tip: If you’re trying to file a copyright for an invention, you cannot. When crafting an invention, be sure to get a patent to protect the invention itself. You can register online at the U.S. Copyright Office’s online registration site, the eCO system. Registering via mail also works. After you’ve submitted your form, paid the fee, and provided the office with the work for which you want to copyright, you wait to receive your certificate of registration by mail. For works created in 1978 or later, the copyright lasts throughout the creator’s lifetime, plus 70 years. 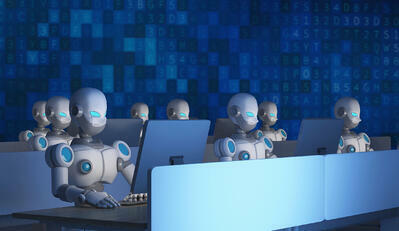 Often times, people get the protection for domain names and business names confused. They are not protected under the trademark laws. 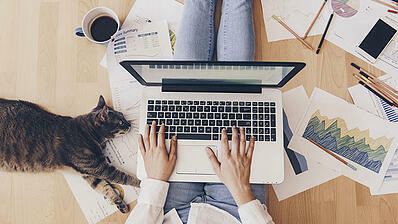 Instead, domain names are web addresses that identify a website and can be registered through a domain name registrar. Registering a domain name with the registrar does not give you trademark rights. Be careful not to register a domain name that’s already been trademarked. If you do so, you can face charges. However, you can trademark your brand name and use it in your domain name. A domain name can also function as a trademark. For example, Nike.com is a domain name, but it also identifies the source of sneakers (a good). Because the web address is a retailer of shoes, Nike.com is also a trademark. Contrastingly, a business name is simply a name under which you do business and is recognized on a state level. If you’d like to register your business name, register with your local Secretary of State. A business name can also be a trademark if your business name provides goods and services to others and is distinguishable from other brands. All of the above-mentioned laws work together to protect works, brands, and services. Let’s take a look at a real-life application of intellectual property laws. Starbucks Coffee Company is one of the most recognizable brands in the world, so smaller brands would benefit from putting the Starbucks logo all over their products. This shows that all of their goods, services, and brand assets are covered by intellectual property laws, like the registered mark, service mark, and trademark. Below we’ll explore some of the specific intellectual property marks used within the Starbucks company. Starbucks Rewards™ is a trademark because it is the name of the loyalty brand within Starbucks Coffee Company. This alerts consumers that they view themselves as the owners of this, however, it is not officially registered with the USPTO. I love this example because of the number of intellectual rights symbols used. How many can you spot? 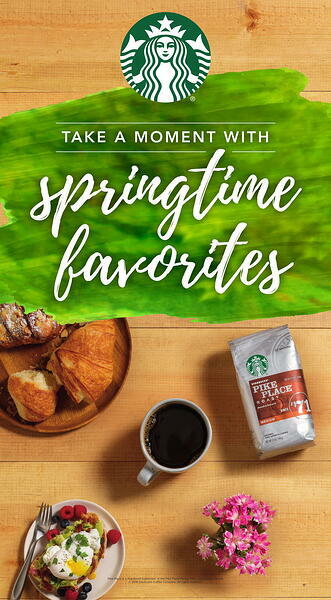 Starbucks logo, Starbucks wordmark, the name of the coffee (Pike Place® Roast), and the Starbucks Rewards™ we saw in the earlier example. Here every brand asset has been registered by the USPTO and Starbucks has exclusive rights to use these assets as they please. Furthermore, they can file lawsuits for anyone using them unfairly. The reason the image above has the copyright on it is that it’s an advertisement, meaning it’s a tangible artistic work. Then, you see placed at the top is the Starbucks logo with the registered symbol. 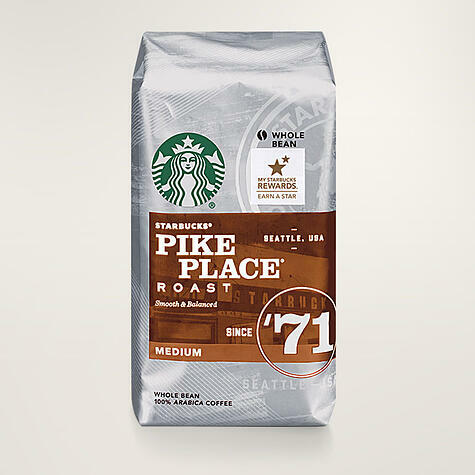 Lastly, the Starbucks® Pike Place® Roast bag that we went over before is on this piece, so to ensure it’s protection they call out the registered trademark at the bottom as well. When it comes to intellectual property, register your work appropriately so that you can file a lawsuit the next time someone decides to flatter you or your clients. Filing your intellectual property properly may take some time, but it’s worth it once you start reaping the benefits of your work. Hungry for more information on the law? Learn the about libel vs. slander and how to keep your clients from receiving or making a defamatory statement.